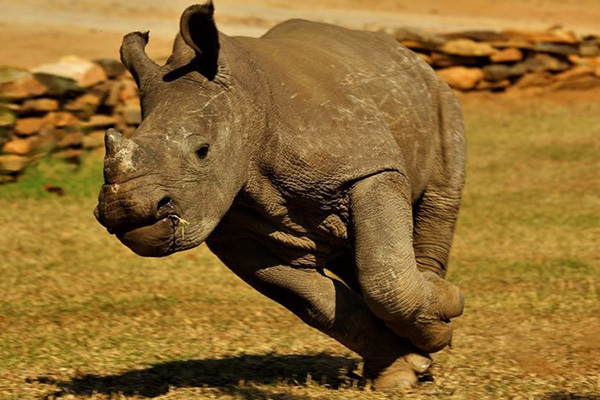 Baby Rhino Zac at Baby Rhino Rescue | Adopt and Donate Now! Zac was found beside his recently poached mother in the Kruger National Park. He was transported to Care for Wild in his private helicopter and alongside his private veterinarian. Zac was born in winter, and as a “winter baby” he was compromised: food is always scant in the bush at that time, so winter babies are more frail. For the first few months Zac was alone in the baby boma, so he developed a friendship with a tractor tire! The tire which takes the strength of three people to drag was tossed into the air by Zac! He became incredibly strong as a result. He was also taken out for daily exercise, and Zac’s speedy running up and down the road was an event everyone looked forward to! 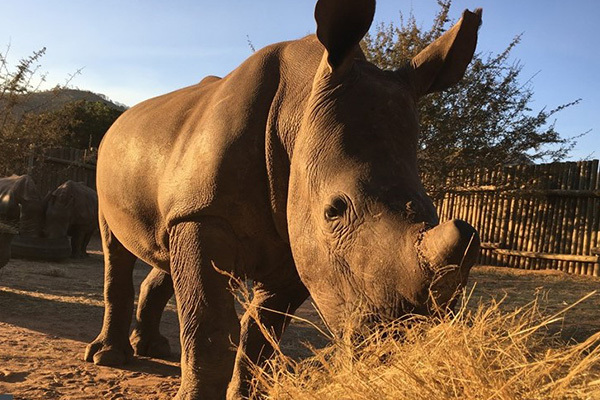 Then in the same week three new baby rhinos arrived,—Spirit, Jemu and Grey—and oddly, all were exactly the same age and size as Zac, all “winter babies”. Zac suddenly had a crash over which he was the alpha! He is a big male now, and very bonded with best friend Grey and best girlfriend Jemu. They are being monitored constantly and all four orphans are doing very well drinking their milk and eating the lovely teff too.